Green-gold. Firm nose with nice clarity: apple pulp, citrus pith, almond oil, sage, petrol and wet stone minerality. Medium body with a bit of a sappy, oiled texture. Quite restained thru the midpalate and finish; brothy, like a consommé of blue slate. Grippy, pure and harmonious. Ungrafted vines and old-fashioned Mosel winemaking here. Slightly oxidative in style, aged in cask. Interesting wine. 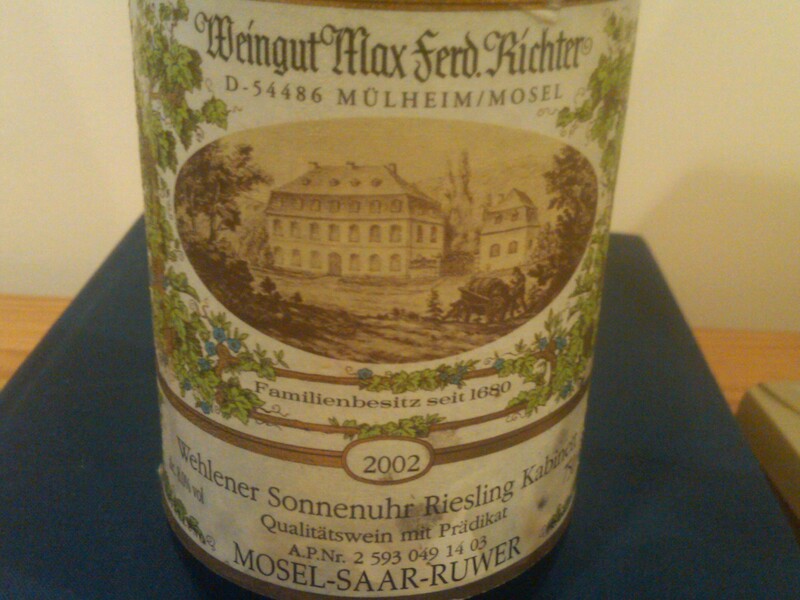 Its both typical and atypical of Middle Mosel kabinett. A good result regardless. And still miles to go before it sleeps. Now – 2018+.